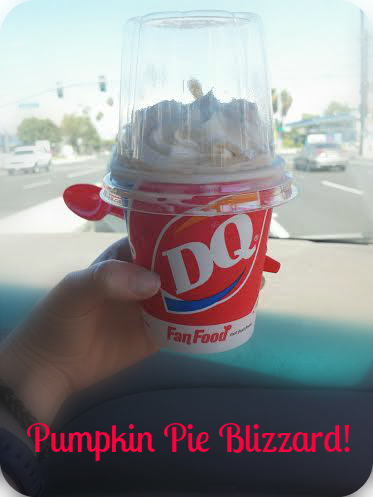 Today I went to DQ to get my annual pumpkin blizzard fix. I saw the commercial advertising its arrival the other day and knew I had to get one this weekend! The apple pie one looked pretty tempting too, I might add. It was delicious! I like the chunks of, well, fake pie crust. And the whipped cream with pumpkin pie flavored ice cream or whatever is so tasty! I immediately began eating it in the car. I was a little disappointed in myself though because the small size seemed like too much ice cream for me! I am a sweetaholic and this seemed really sweet and almost too big. I feel like I can almost relate to the French when they come over to America and can’t fathom how our small size is their large size (that’s still true right?). I’m going to blame it on the fact that I like doughy/bready desserts over ice cream. 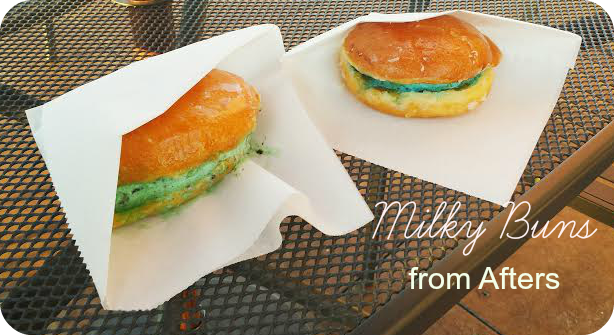 Have you tried any cool new ice cream flavors or combinations lately?